If you’re staying in Frome for a short stay or longer visit we would like to warmly welcome you to the town and offer some resources that may be of use. You can also pop into our information centre in Black Swan Arts, where our friendly volunteers can help plan your stay, or browse our website to find lots of information and things to do. 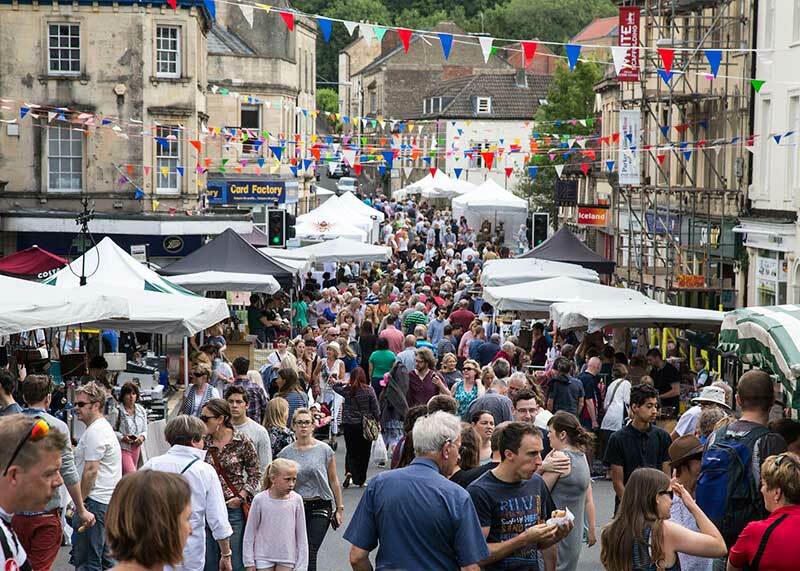 Our transport page will help you get to Frome and navigate around town, with information about trains, buses, parking, electric car charging points and e-car and e-bike hire. Use the accommodation page to find places to stay in the area, including B&Bs, camping, hotels and self-catered accommodation. Make sure you get a copy of our Discover Frome map – now available to buy from Amazon. You can also find maps in and around the town in our new map dispensers and our Information Point in the Black Swan Arts. This highly detailed and beautifully illustrated map highlights various shopping locations, places to eat, music and arts venues as well as open spaces and parks to explore. The map also details Frome’s streets, churches, schools, sports facilities and train station. Alternatively, you can look through our interactive map. If you can’t find all the information you need on our website, be sure to stop by our information point, providing you with valuable local knowledge. Leaflets are available for a wide selection of local attractions in Frome and the surrounding area. There is a focus on arts and events as well as walking and cycling in the area. The Discover Frome events calendar is constantly being updated and features a wide variety of events. We also publish a round-up of events every month to our news page. 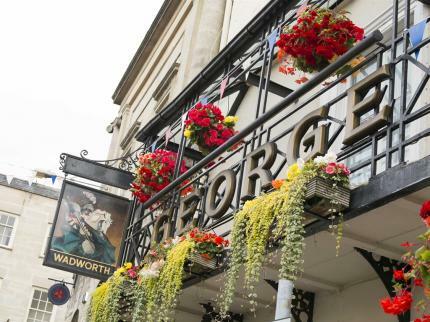 Our attractions section provides information on arts, history and heritage, food and drink, market, shopping, walks and parks in and around Frome and can help you plan your stay. A great way to keep up to date with town news is the local free newspaper the Frome Times which is delivered to most households fortnightly and is available at the Library and the Town Hall. You can also find out about local events through The Frome List (available in hard copy from the Information Point). There are also lots of social media sites, such as Frome Town Council‘s which provide regular updates of what’s happening in the town. Visit Somerset is also a really good resource for fun days out, in and near-by Frome. If you would like details of Local Services such as banks, post offices, doctors and pharmacies, please find information in the link above. Frome is home to the UK’s first Share Shop, where you can borrow items such as tools, games, cooking utensils and camping equipment for just a small donation for a week’s hire. They also offer regular repair sessions, skill swaps and events. throwing away almost 4000 nappies which take 500 years to degrade!